Who doesn’t loves free stuff? I do, I bet you do too 🙂 Whatever it would be, once you see/hear the word Free it clicks something in your head and you instantly want to get it 🙂 Of course not everything what comes for free is good, but you can’t be really disappointed, cause it’s free 😀 So today I am going to share with you guys the best websites for free 3D models and textures that I have come across. I am going to share only these sites that I find myself most useful and trusted. There is a big chance you will know them all already, but if not I will be glad to help discover new valuable recourse of various 3D assets. 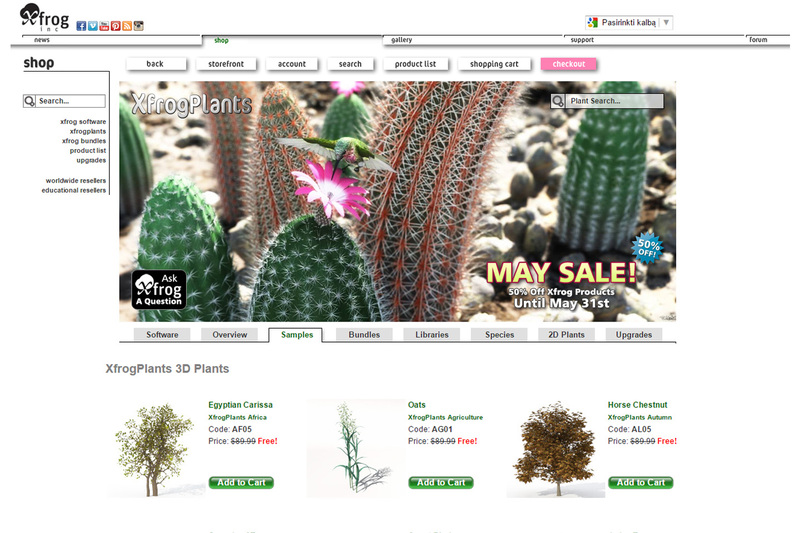 Archive3D was my first free 3D models website that I have stumbled upon. 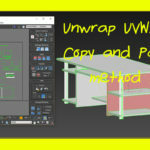 It is very simple to use, not fancy looking, but has a great deal of various free 3D models (over 45k models in total). But no wonder there, cause the web is alive since 2007, so it has what to offer. The website is sometimes a bit slow on loading, but considering the quantity of models it contains it is normal 🙂 (or I just happen to have a sh*tty Internet 😀 ) You do not need to register in order to download something from the website, which saves a lot of time and is very comfortable to use. On the downside you can see just one pic of the model and never be sure if the downloaded model will look as in the picture, but it is free stuff, so there is always a risk. You can also contribute your own model on Archive3D, but for that you need to register, but it is a normal procedure. So overall I love this website and I recommend it greatly. The best thing about this website is that you can download as many model as you like. 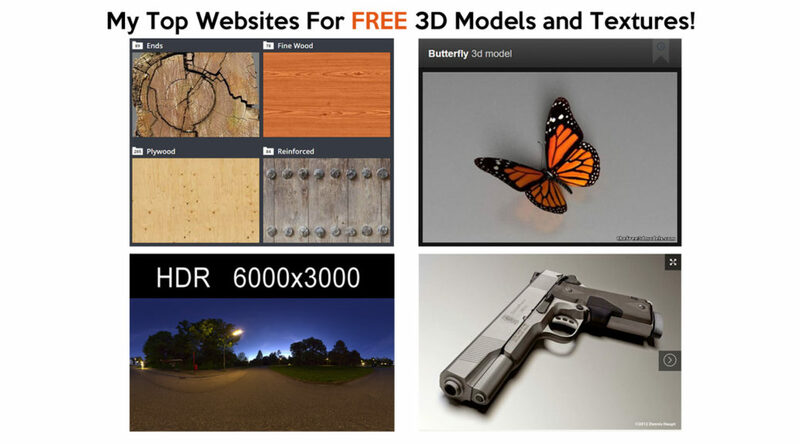 TF3DM is I think very well known website for free 3D models. So now wonder that it is on my list. It has a massive 3D library (14160+ models) and has a lot to offer. 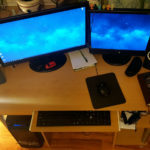 It is easy to use and has a simple interface and navigation. You have to register in order to download a model, but it takes just a few minutes to do that. All models has proper descriptions and enough additional renders to see how the model does look so you can easily decide if it is what you are looking for. 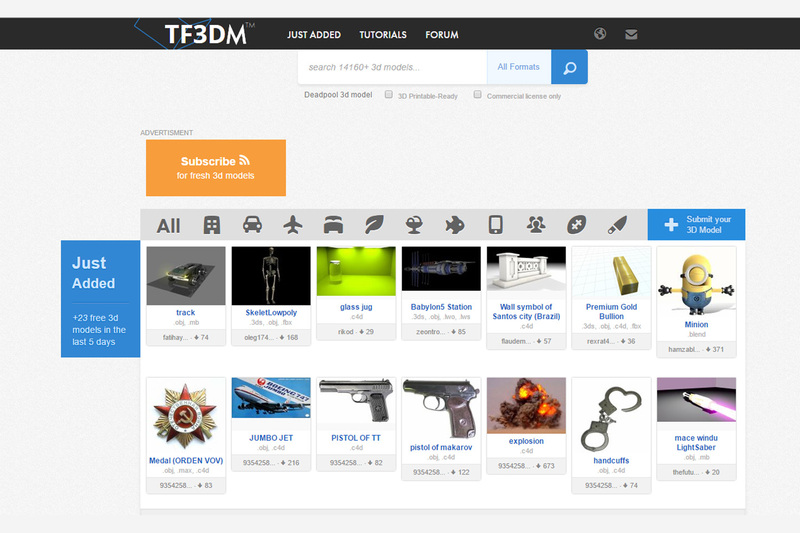 TF3DM also let’s you submit your own model to the site. Overall I like this site and what it offers and as the Archive3D it allows you also download as much of models as you need. So thumbs up for TF3DM.com! CGtrader.com is for some time around the web now (since 2011) and it has a crazy amount of 3D models to offer – 360k models in total! Of which even 167 558 models are for free! This is truly mindblowing. And in the library that big you will definitely find whatever you are looking for. The website is very neat and has this quality look about it that makes it very pleasant to use. Nice interface and easy navigation. All models are properly described and has a good quality (at least free models that I downloaded were on point ). You need to register to be able to download or upload 3D models. You can sign up using Facebook or G+, what makes it very simple. 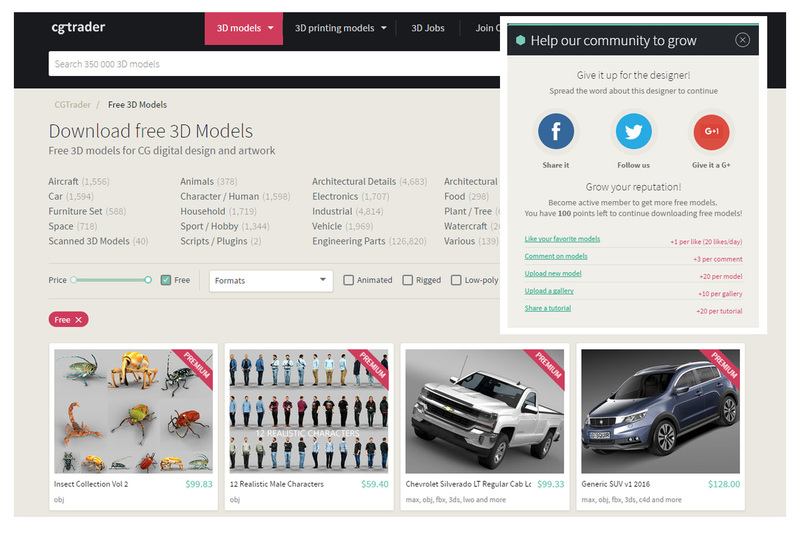 The website has a great community and it plays a big part in downloading any free models. What I mean to say is CGtrader has this Point System (I am not totaly sure if it is called like that, but that is what I call it at least). 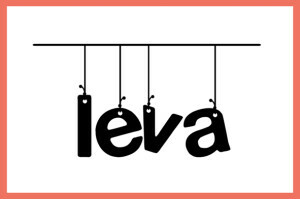 So in order to collect and earn additional points you have to participate in the community. Sharing, commenting or even uploading a model earns you points, which later you can spend on downloading any free model you like. It is a fair system and I understand that it’s a great way to keep community alive and allow to thrive. I just must mention real quickly that CGtrader is a product of my fellow Lithuanians. I am very proud to be able to recommend that high of a quality product that was established in my country. 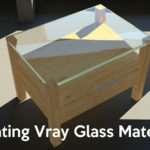 So if you haven’t chacked it already (which is not likely) I encourage you do go and check them out, and download some amazing free 3D models. 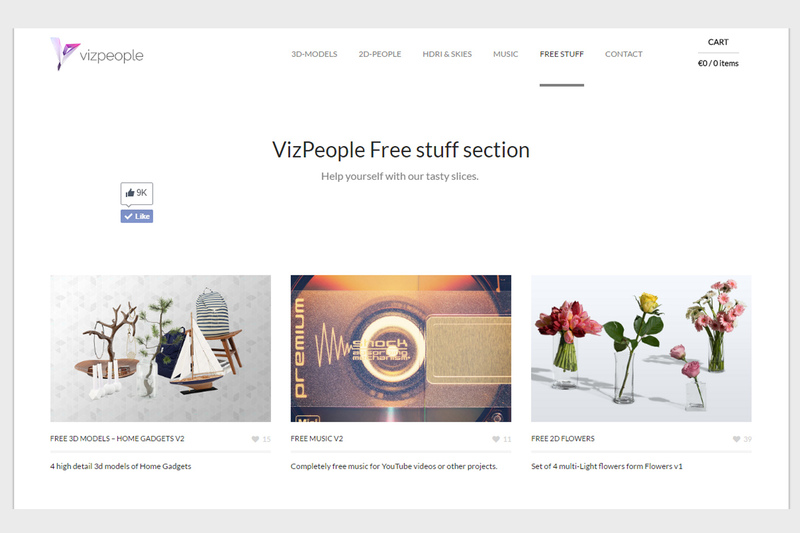 Viz-People.com was another great website that I found out from watching a tutorial. It contains various 3D models and HDRI maps. The website is not that big as other 3D model platforms, but it has its goods alright. The website design is nice and neat, it has that futuristic look about it. You do not need to register to download free stuff. There is one odd thing about it. You can’t download a separate model. 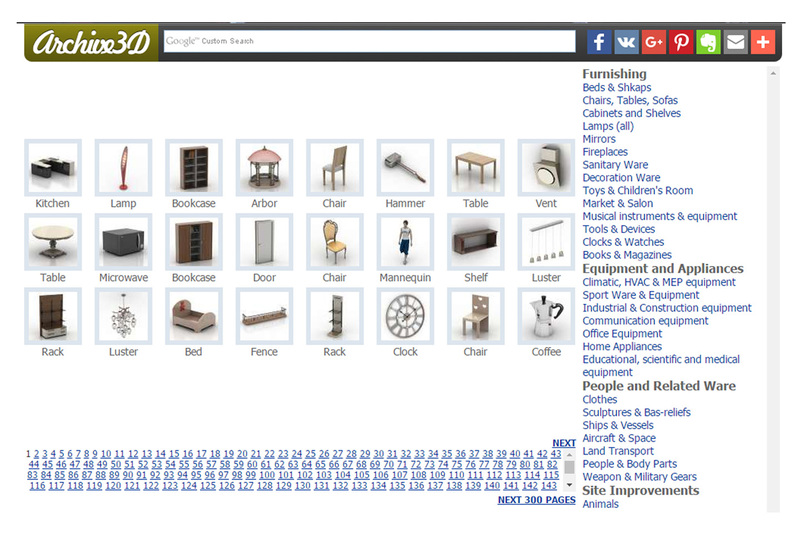 You get to download the whole package of grouped models at once (package of chairs or kitchen gadgets for example). It’s a bit weird, but you get a lot of free objects at once 😀 it takes a long time till you download them though. So yeah, that is the downside of it. But the site is most popular for its HDRI maps I think. There aren’t much of them to download for free, but there is some nice maps that can be added to your HDRI collection. So go and check it out. So I mentioned CGtextures.com in one of my previous post. It is one of my favorite websites for textures. It has a great library and is simple to use. You have to register in order to download something. Of course as for free you can download just small texture sample (1024×1024) or sometimes a medium sized texture, but most of the time is enough. If a texture can be tiled (in other words is seamless) the problem is solved even with the smallest resolution image. There is a limitation. But i guarantee you won’t fell it, cause it allows you download daily up to 15 ssmples. That is more than enough. So it is a great site and I recommend it. 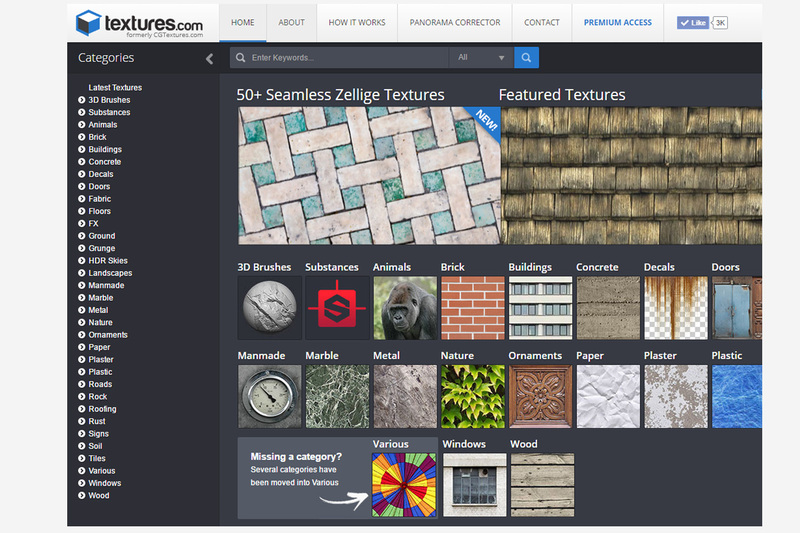 ArchiveTextures.net is a subsidiary website of Archive3D.net. Just recently I found out about it, but it seems it is a great website for various textures. 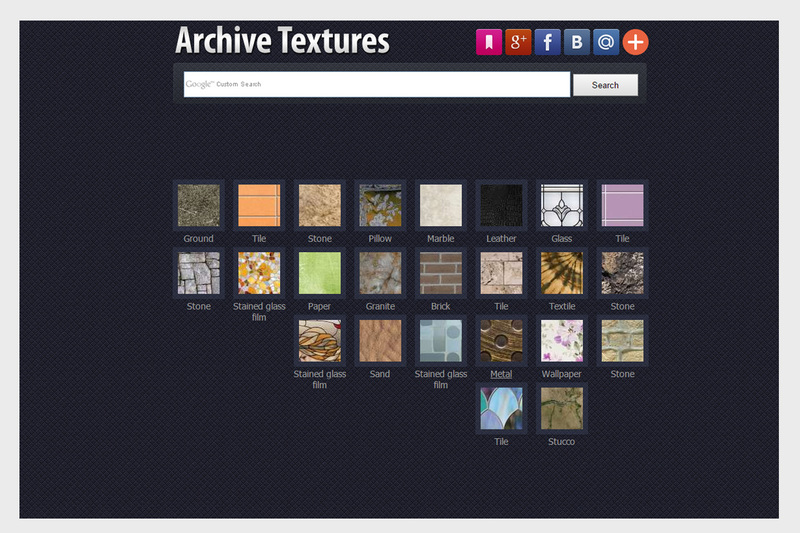 It is as easy to use as Archive3D, just instead of 3D models there is textures instead. No limitations, no registrations are needed for downloading. Easy peasy. 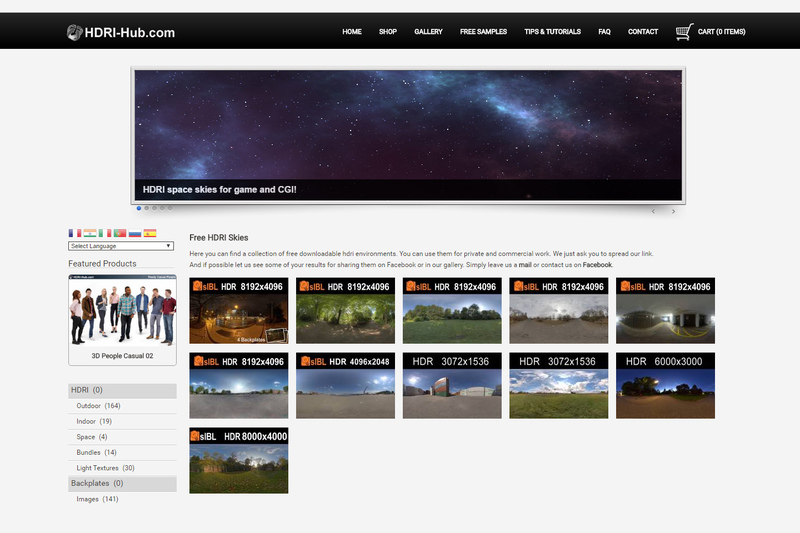 HDRI-Hub.com – well the name says it all. It is website dedicated to HDRI images. Of course most of the stuff costs money, but they offer some pretty nice free HDRI skies maps. The website design is simple and navigation is easy. No registration is needed to download free samples. So go and grab them free stuff! Let’s not forget the Elephant in the room! 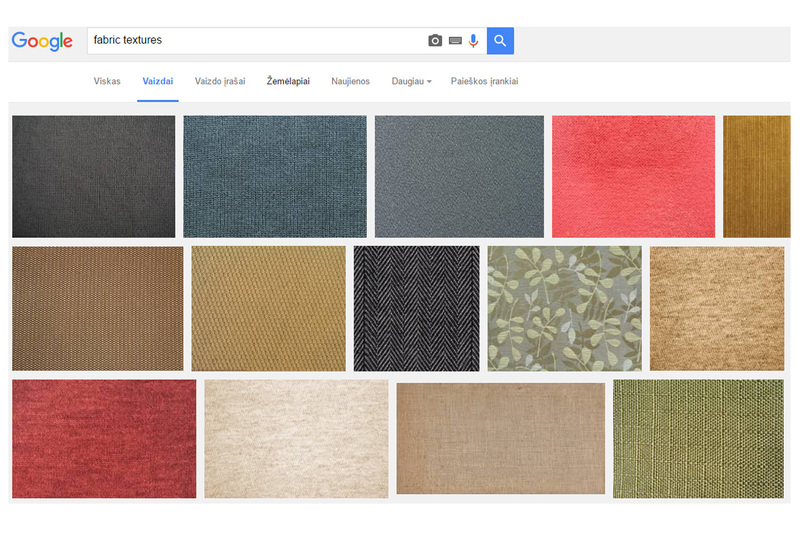 If you can’t find any textures in the dedicated websites just go to Google. I bet you will find there a lot of nice textures 😀 Just be careful with the licenses. Always check if you can use and where you can use the downloaded texture. If you know some cool free model or texture websites leave a comment below 😉 Let’s share the knowledge. If you like what you read share and like my humble blog and feel free to subscribe for more 3D bits and pieces! I’m looking forward to read more of your posts. All are great sites, but you must try too http://www.cadnav.com.